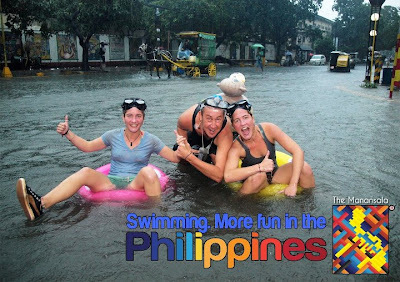 French and Australian nationals in the Philippine flooded street said, "Still, it's more fun in the Philippines!" I admire these foreigners for trying to be optimistic and making their trip as fun as possible despite the heavy rains last week. I just hope they don't get any flood-related diseases when they go home. Out of the closet. 5 years and counting.